When you teach your dog to stay, you are assuring that your beloved companion will always remain safe. 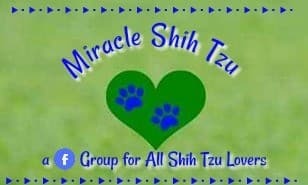 One of the most tragic events that can occur is for a beloved dog to get out and run away, ignoring our calling, pleading, begging or threatening and this does occur even in Shih Tzu Dogs. Yes, they will chase squirrels, even though they were bred for centuries to be nothing more than companions. 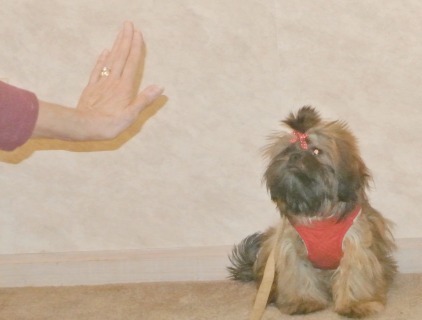 The Goal of the Stay command is for your dog to hold their position until you release them. 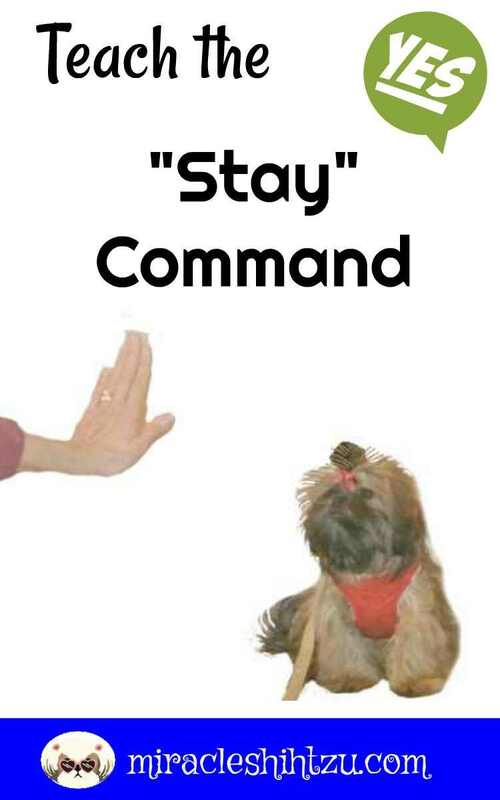 This command comes easier to some dogs and to others, especially young puppies with short attention spans, extra help may be needed in learning to stay. You can teach the stay command either from a sit or down position, Use a 6 foot leash if you are doing this activity outside to prevent your dog from running off. If you have a brachycephalic breed such as the Shih Tzu, you will want to be sure that they have a well fitting harness before beginning any training activities. Collars are great for holding identification tags but they can be dangerous to your dog, especially puppies doing any type of leash work. Stand directly in front of him and in a serious tone, say the dog’s name and “Stay”, (“Lacy, Stay.”) holding your palm flat and facing his nose. 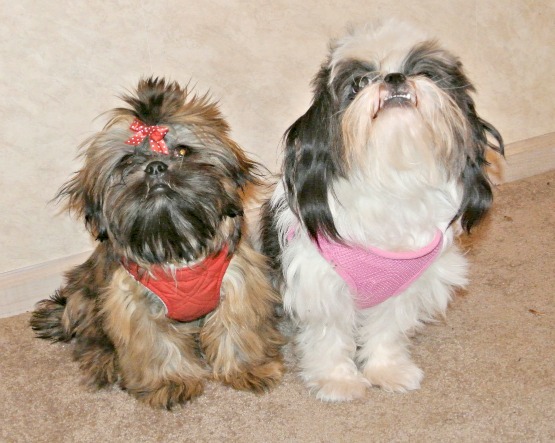 Move a short distance away, keeping eye contact with your Shih Tzu, and then return to her. Praise her with “Good Stay” and give her a treat. Be sure to give the praise and treat while your dog remains in the sitting and staying position. If your dog move from her stay before you have released him, gently but firmly put him back in the stop where she was originally told to stay and begin again. 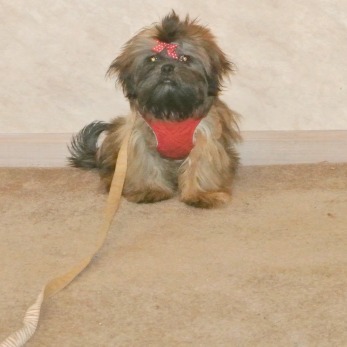 Gradually increase the time you ask your Shih Tzu to stay, as well as the distance between yourself and the dog. 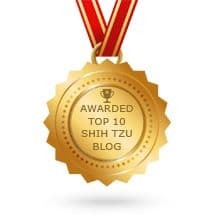 You want your Shih Tzu to be successful so if she is breaking her stay, go back to the time and distance she is able to achieve. Continue to practice this command, each time moving a little farther away and asking her to stay for a longer period of time. This is very common in young puppies. Puppies have short attention spans and sitting for any length of time is as difficult for a puppy as it is for a human toddler. Use very little verbal communication when teaching this skill. Talking arouses action in dogs and you want inaction. Your hand motions will express your seriousness. Repeat the command again. See Number 3 above. Concentrate on what your dog is capable of and work to perfect that before moving on. If your dog can hold the "stay" command for 15 seconds, work on that before moving on to 20 seconds. 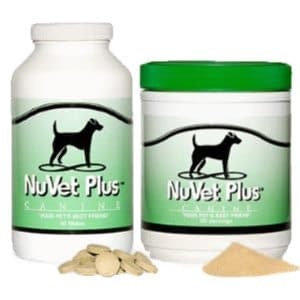 Create a pattern of success for your dog. Slowly move onto longer periods of time that you expect him to remain in the "stay" position. Keep working. 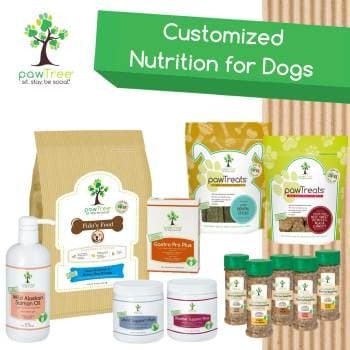 Your dog will get it. Dogs will remain in the "Stay" Position longer if you start with a "Down" Command"
Move around your dog to add interest to the stay. Start by facing your dog, then as the dog is in the stay command, move around him, first to the left, then behind him, and then complete the circle until you are facing him again. Was he able to maintain the stay position. Always reward, at least at first until the behavior is well ingrained.